Twelve rooms, twelve vacancies. 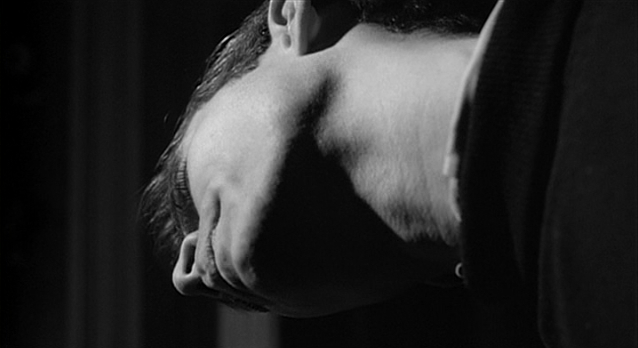 And Marion Crane will take one, thank you, in Room #1 of the Bates Motel. 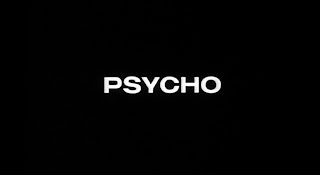 Paramount apparently didn't believe that Alfred Hitchcock would have any success adapting Robert Bloch's novel Psycho for the screen, but today the Bates Motel and the Bates house still stand on the Universal lot and are a major attraction there. 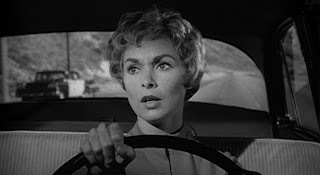 The legacy of this thriller is incalculable, but most valuable to it are Hitchcock's mastery of suspense, Bernard Herrmann's legendary and singular score, and phenomenal performances from the creepier-than-hell Anthony Perkins and the better-than-I-remember Janet Leigh. Oooh. Company: this was the last movie screened on Kecia and I's Halloween movie smorgasbord (second annual! 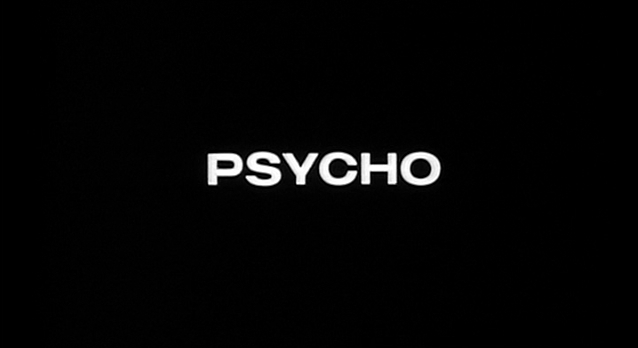 ), after Shaun of the Dead, The Fog (John Carpenter), Rosemary's Baby, Hocus Pocus and Pet Sematary. Along for the ride: Kecia, obsessed with the age of the little boy in Pet Sematary; Katie, should dress as Sarah Sanderson for Halloween some year; Matt, purveyor of hot toddies; Adam, hipster cut from his hosting job; Jeremy, relative newbie; Ryan, creator of the future drag musical of Hocus Pocus; and Paul, in it to win it all day. Cuisine: what didn't we have? It was a smorgasbord, and by the end of the day we'd stuffed ourselves. Ordering Pizza Luce, drinking various beers and hot cider drinks, and snacking on grapes, peanuts and candy corn. Mmmm. We open in a Friday in Phoenix, Arizona, where it's an "extended lunch hour" for Marion Crane (Oscar nominee Janet Leigh) and her lover, Sam Loomis (John Gavin). This first scene is simple and sensual, but in 1960 the sight of an unmarried couple in bed together caused quite a stir, thanks to the nearly-on-its-way-out Production Code (or the Hays Code). Marion and Sam want to get married but lack the funds, and so Marion steals the money from one of her employer's clients, saying she'll deposit it on her way home, and makes for Sam's California home. But it turns out that Marion doesn't handle stressful situations all that well. The long day of driving forces her to pull over and take a quick nap, but she's discovered the next morning by a policeman who suspects that something fishy's going on. Can't imagine why: she's not acting super weird or anything. And then she trades in her perfectly good car for a new one, with the policeman watching and noting her new plates? Yeah, that won't raise any eyebrows. Hitchcock puts us on edge in these first few scenes with his unflinching camera squarely on Marion and her view of the road. Herrmann's genius score, like a frenetic heartbeat, is pulsing through this first section while nothing much is happening, leaving us terrified of what's to come. 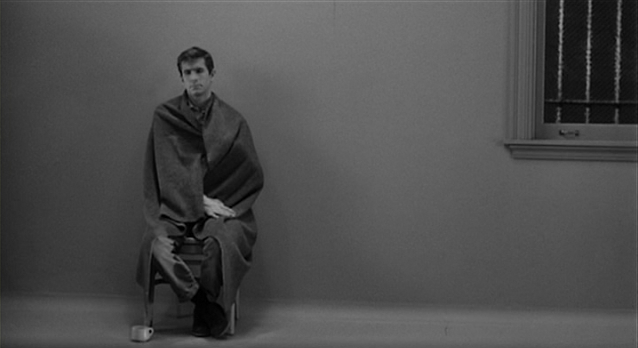 And then we meet what's to come: Norman Bates (Anthony Perkins), the dopey, slack-shouldered caretaker of an eponymous offroad inn where Marion stops to spend the night. His wide grin and aw-shucks manner seem fine at first, but in a fantastic two-hander between Leigh and Perkins, we see there's something not quite right about Bates: his taxidermy hobby, which fills the time instead of passing it; his isolation; and weirdest, his devotion and love for his abusive mother, who lives in the creepy house on the hill. 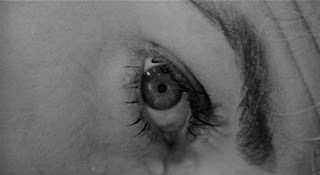 This scene is a turning point in the film, one that forces Marion to reconsider her crime and make amends by returning to Phoenix in the morning to return the money. Just a quick shower first. The shower scene in Psycho is one of the most famous scenes in movie history, and it's all done without seeing any unlawful-at-the-time body part of Leigh's and without ever seeing a knife entering flesh. It's masterfully edited and iconically scored, and supposedly gave Leigh a lifelong fear of showering. I can't say I blame her. The "alienation effect" is a term coined by Bertolt Brecht, which "prevents the audience from losing itself passively and completely in the character created by the actor, and which consequently leads the audience to be a consciously critical observer." By killing off his heroine halfway through the film, Hitchcock jolts us out of whatever passivity (if any) we may have felt so far. "There's an hour left, but she's dead," you might think. "What the hell happens now?" The audience at the time saw Janet Leigh on the poster and may have assumed the film would be her story -- now that she's dead, what's left to tell? A hell of a lot, as it turns out. 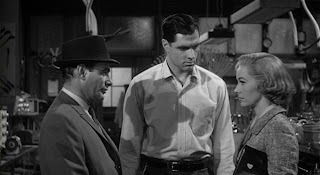 Sam, Marion's sister Lila (Vera Miles) and a detective named Milton Arbogast (Martin Balsam) are worried about Marion's crime and disappearance, and set out to investigate. The pieces are put together pretty efficiently by Arbogast, who winds up at the Bates Motel and keeps his cool while questioning the increasingly agitated and confused Norman. I love this shot of Norman, peering over to examine the ledger Arbogast requested in which Marion checked in as Marie Samuels. He munches nervously on candy corn, and we see so vividly his exasperation with balancing a calm disposition and quick mind. The contrast in black and white here is also stunning: the film was shot in black-and-white partially to keep costs low, since Hitchcock had to finance the film himself after Paramount refused, and also to keep the gory shower scene from seeming to graphic for contemporary audiences. Side note: chocolate syrup was used instead of blood because the camera picked it up better. That scene must have smelled delicious! Sam and Lila show up after Arbogast disappears (murdered in a thrilling and bizarrely filmed sequence) and figure two heads are better than one. Luckily the train stops there, and the mystery of Mother Bates' identity is revealed. But oooooh the nail biting finale! An epilogue, in which a forensic psychiatrist explains every detail and plot point for us, may have been necessary for an audience at the time, but now remains the only section of the film that feels a little unnecessary. However, I did appreciate the mention of transvestites: when another cop suggests that Norman may have been a cross-dresser, the psychiatrist makes the distinction between a transvestite who derives pleasure from dressing up as a woman and a psychotic killer who dresses up as a woman because he had split personality disorder. Thanks for being so forward-thinking, Hitch! 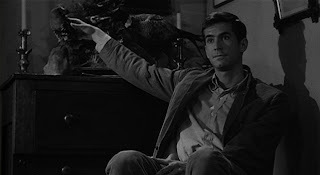 I hadn't seen Psycho in quite a while, and before blogging this list I had considered North by Northwest my favorite Hitchcock movie, and had always resisted saying Psycho was tops simply because it seemed too easy. But it's just that: the film works so easily and so completely that of course it's the best. 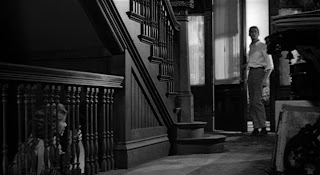 And somehow: another Hitchcock movie (which I have also not seen in a while) is yet to come! What a great gem, and a perfect ending to our Halloween smorgasbord. Now I'm interested in seeing Gus van Sant's 1998 shot-for-shot remake of this, though I hear it's really not worth it. But as an experiment, I'm intrigued. Maybe when I have a couple hours to kill and can handle Anne Heche. Next up: (light sabre noises)! David and Andi, the two biggest fans I know, join me for George Lucas' Star Wars.